A Greenpeace activist, Wiccan High Priestess, and proud Soccer Mom, Francesca Howell has been involved in magical traditions and wildlife preservation since childhood. In this one-of-a-kind book, she shares her everyday suggestions for spiritual renewal through connecting with nature. 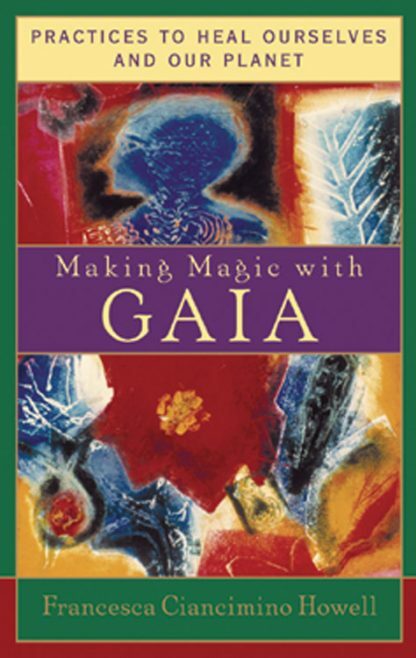 The meditations, ceremonies, and spell craft in Making Magic with Gaia spring from an ancient Pagan tradition of Earth stewardship, which blends deep ecology, magic, and activism to bring the reader into a closer communion and harmony with Mother Earth. Packed with practical suggestions (recycling, gardening without pesticides, and conserving water) and mystical rituals (shamanism, crystal magic, and Power Animals) for helping the planet, this book is written for anyone with a spiritual ecological awareness. Not the witchcraft of Gothic novels, Making Magic with Gaia is based on a modern religion with ancient roots that can heal the Earth as it heals the practitioner. Francesca Ciancimino Howell, profiled in this season's Wiccan Wisdomkeepers, is an initiate of the Temple of Gaia. She lives with her two children and her husband in Boulder, Colorado. She is on the Religious Education Council of the Unitarian-Universalist Church and a member of the multi-faith "Spiritual Support Team"? counseling battered women. She works in the Department of Environmental Studies at Naropa University.